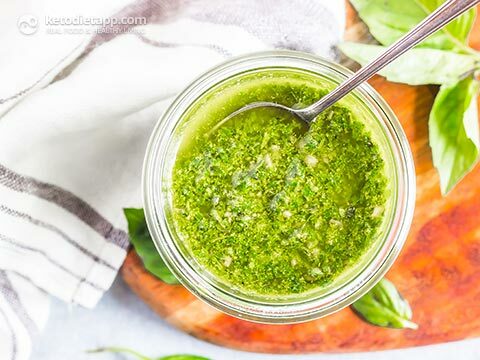 This quick and easy vegan and keto-friendly pesto is a great option for those with nut and dairy allergies! Simply subbing sunflower seeds for the traditional pine nuts is an easy swap that still gives you the nutty taste and texture. 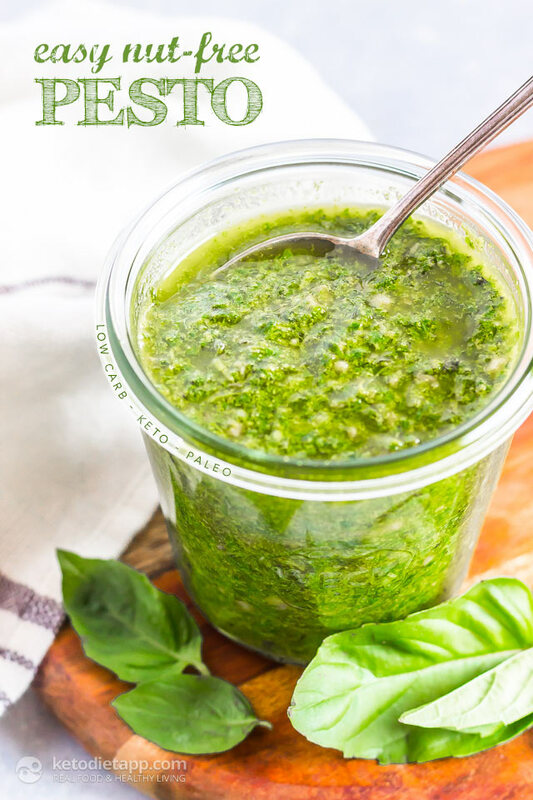 Swapping nutritional yeast for the Parmesan also makes this low carb pesto dairy free, and even gives it a healthy boost of vitamin B12. 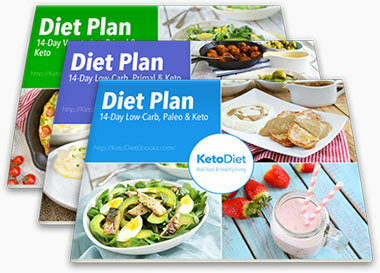 Store in an airtight container in the refrigerator for up to 7 days. 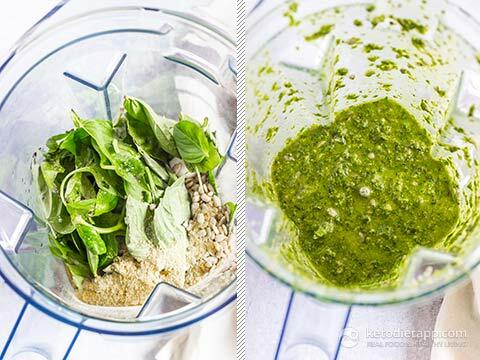 You can also freeze the pesto in an ice cube tray then transfer to a freezer bag for long term storage.